The BeSSCR Board is proud to invite you to the 3rd annual meeting of the BeSSCR which will be held as a joint meeting together with the European Society of Dental & Craniofacial Stem Cells (ESDCSC) in Hasselt on Friday September 16th, 2016. With best regards and looking forward to meeting you in Hasselt! 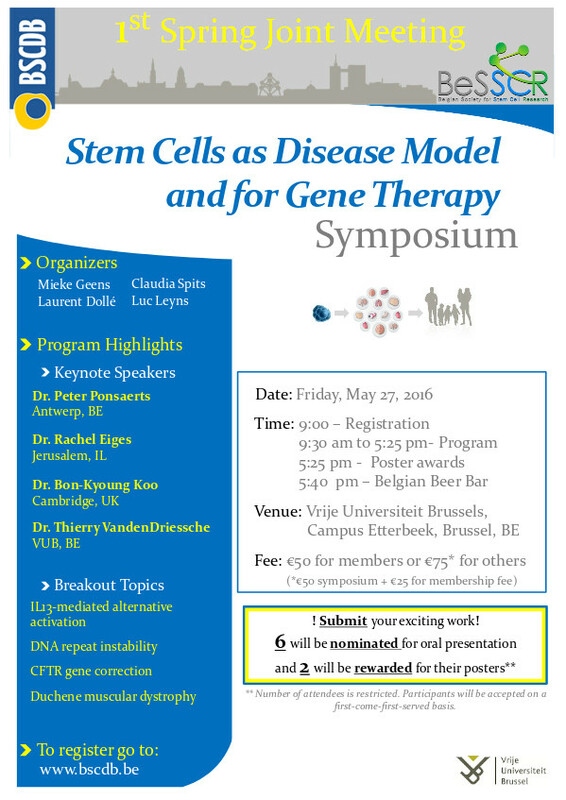 We kindly invite you to the first joint BeSSCR/BSCDB meeting on the use of stem cells as disease model and for gene therapy, on Friday May 27th in Brussels. 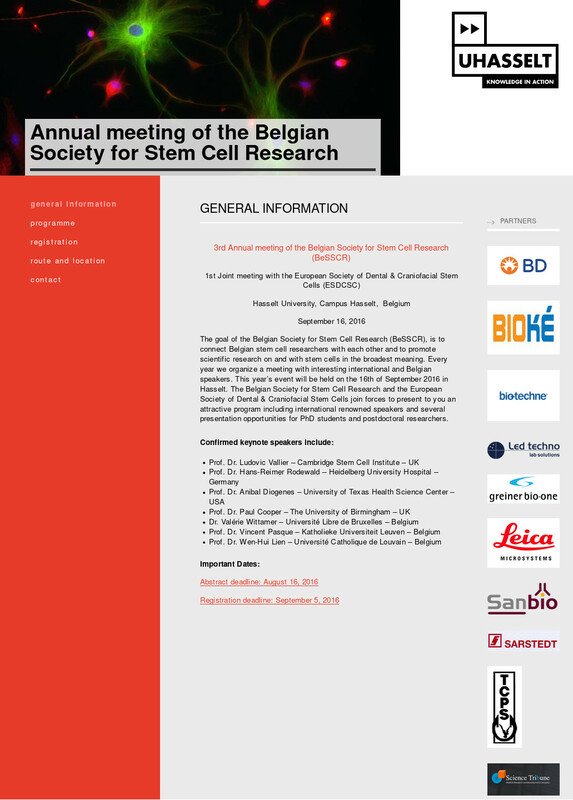 For this meeting, the Belgian Society for Stem Cell Research and the Belgian Society for Cell and Developmental Biology join forces to present you an attractive program including international renowned speakers and several presentation opportunities for PhDs and Post-Docs. Looking forward to meeting you in Brussels!